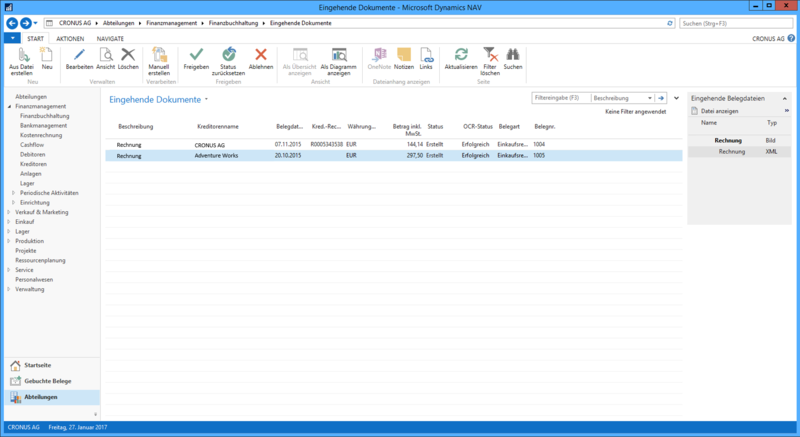 The latest version of Microsofts ERP solution Dynamics NAV 2016 includes many optimised and new features that make day-to-day work with the software significantly easier for the user. 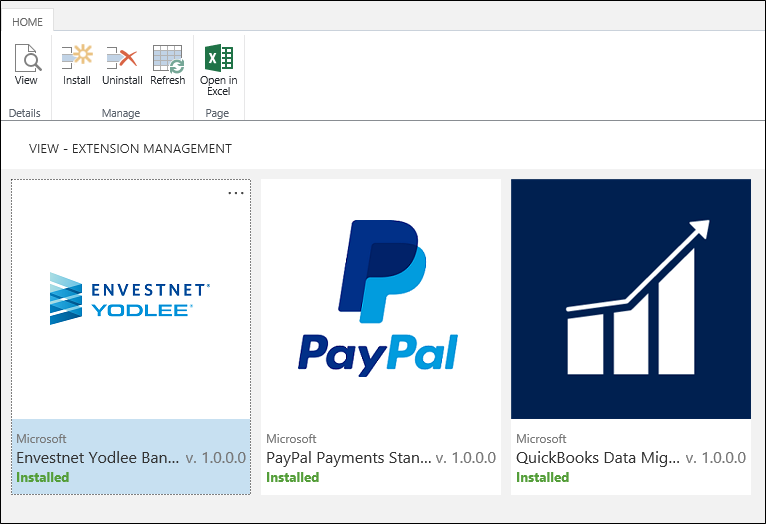 One of the presumably most interesting new features is the option of generically and flexibly configuring and executing workflows directly within the application. 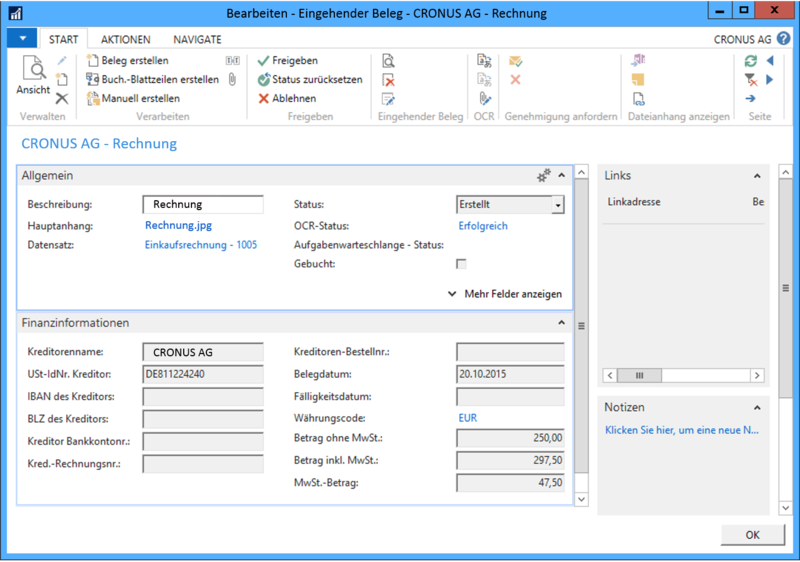 The new workflow module supports the user in consistently and individually controlling ERP processes and, in so doing, meeting existing compliance requirements. Business Process Management is thus IT-supported to an extent. 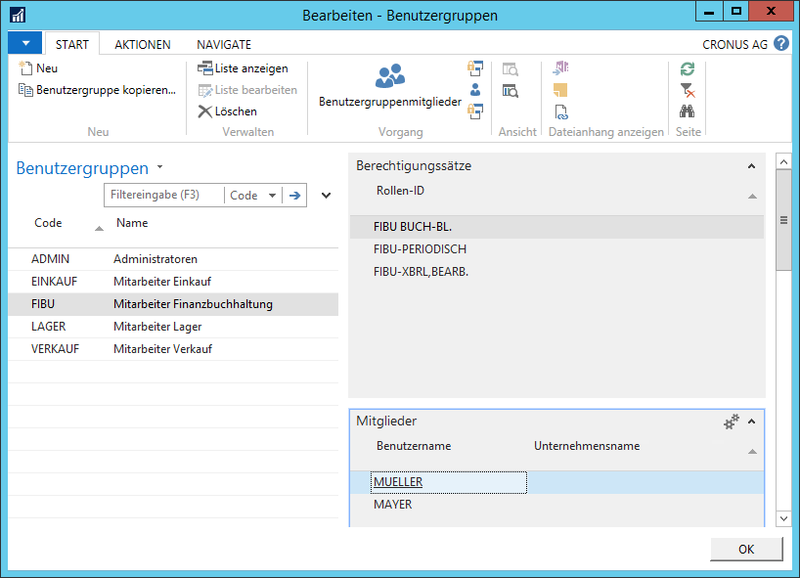 For instance, a user disposing of the appropriate authorisations can independently configure approval and licence processes by defining the respective reactions to certain events directly in Dynamics NAV 2016 (”If”…”then”…). 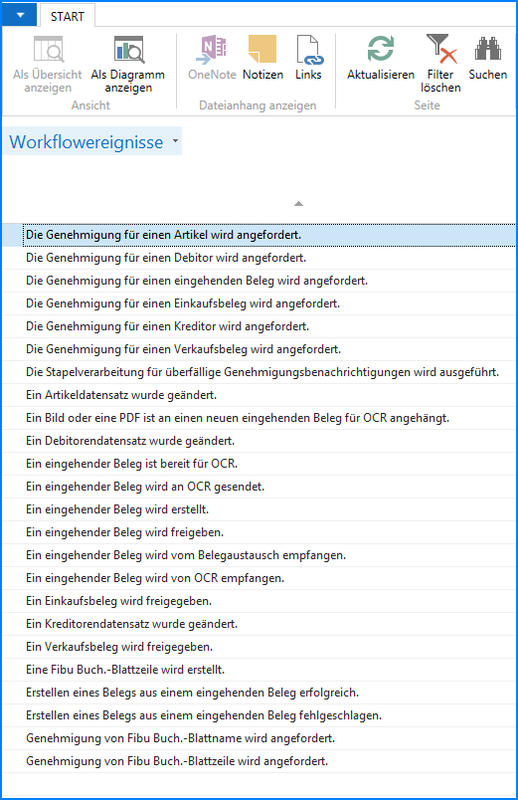 These may include, for instance, a simple notification, the request for consent or rejection regarding a required action, or the automatic initialisation of a process. If a notification is selected as the reaction, the desired users will be informed about what happened when the respective event occurred, and, if required, these users will be requested to act accordingly. In this case, the corresponding persons will be provided with an email or a message including the respective information. Furthermore, it can be defined that a necessary subsequent task, goods or a document remain blocked until a responsible person within the company approves the respective action and the object for further processing. 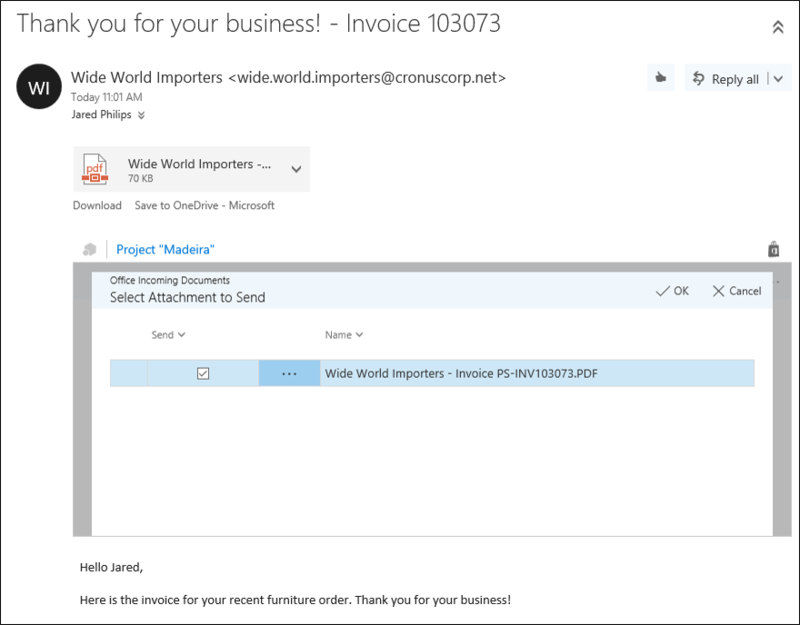 For instance, a purchase invoice exceeding a certain amount can be blocked until an employee of the company has reviewed and approved this invoice. 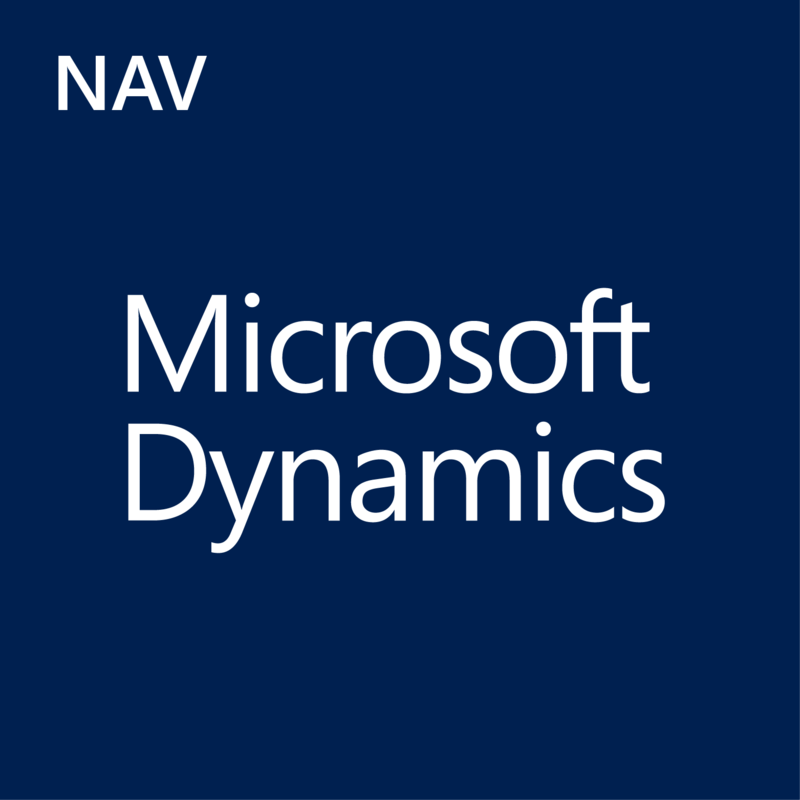 It is also possible to decide that the Microsoft Dynamics NAV 2016 system should automatically execute a defined response process upon certain events without there being any need for another user to manually initiate the next task. 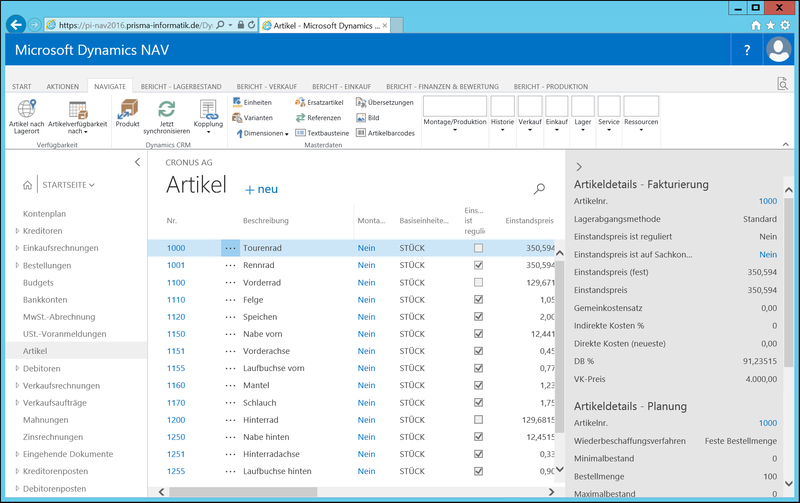 Microsoft Dynamics NAV 2016 already includes more than 20 workflow templates (for purchase invoice processes e.g.) the user may use. However, developers may additionally define separate workflow events and reactions. Up to now, Microsoft Dynamics NAV provided the option of partially parameterising business processes, but they were always defined by the system. The new logic regarding the workflows therefore creates the possibility to design processes generically and have them executed by users of the ERP System. 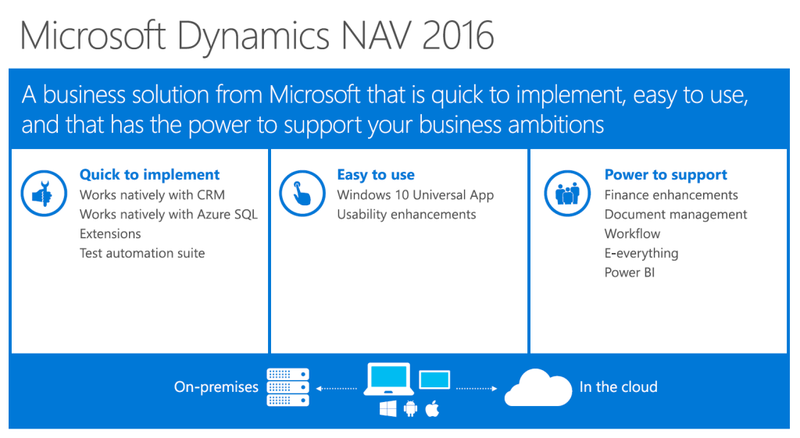 Since last October the new version of the ERP software Microsoft Dynamics NAV 2016 is available. 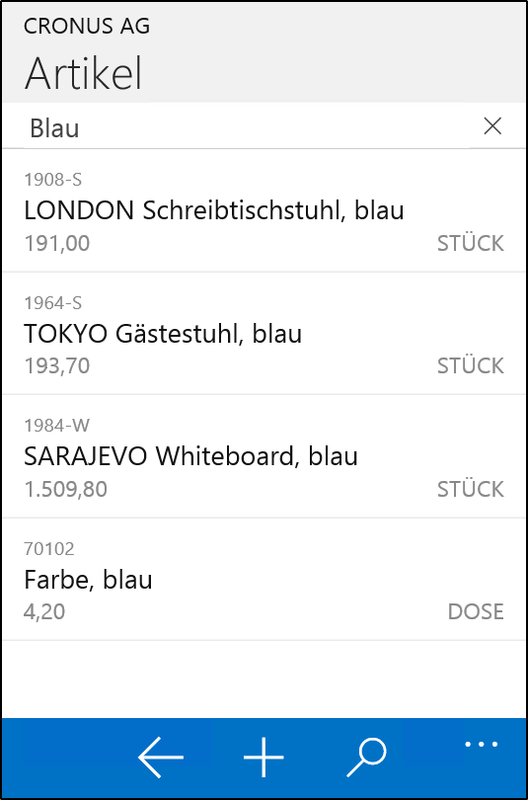 The increasing orientation towards mobile application scenarios also appears at its efforts to further upgrade the Web Client of the Dynamics NAV ERP software. While the field of application has been limited due to various restrictions in the past, the 2016 version of the Web Client develops into a full-fledged alternative for manifold NAV application scenarios. Additionally, the software has also been optimized for mobile terminal devices and can even be used on smartphones with the help of the new Universal App Client today. 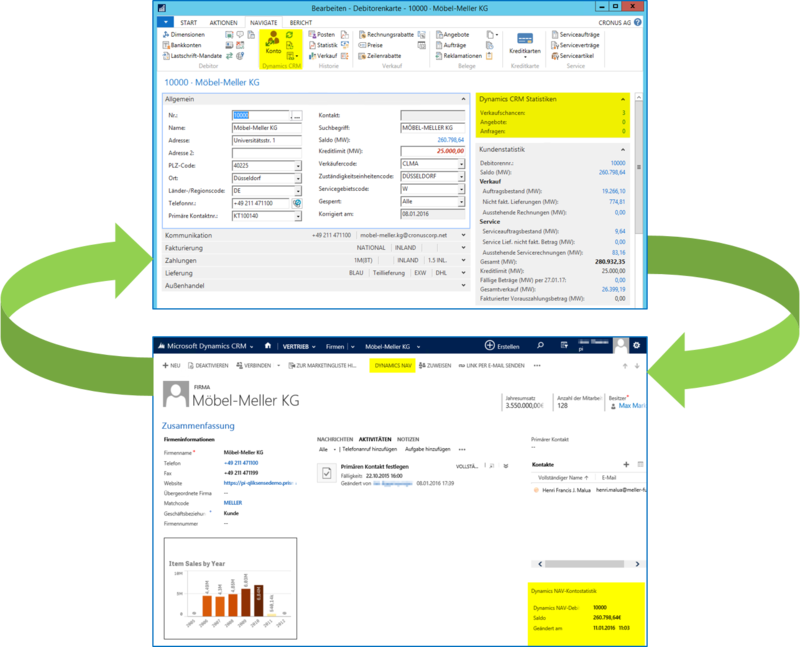 A total of nearly 60 minor but effective enhancements have been implemented with regard to the web client in Dynamics NAV 2016. 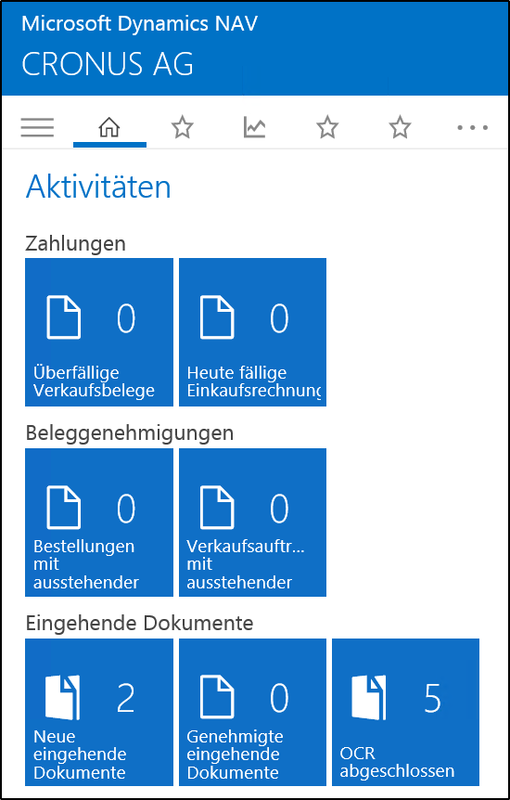 To date, the majority of the new functionalities have been available within the Windows Client only. First of all, they are designed to enhance the productivity, to simplify operation, and to increase the performance during use. Amongst other things, the innovations refer to the fields of data input, lists, role centre, as well as different basic settings. For instance, the software can now be operated in the Web Client with a significantly higher level of comfort by fixing columns in tables, by expanding and closing tabs, and by quickly switching between different clients. 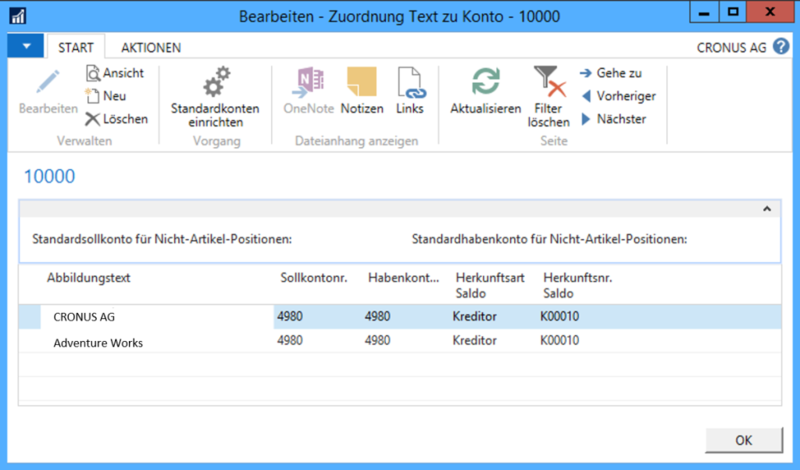 Browsing is also easier in Dynamics NAV 2016, since cross-column browsing is possible and matching search results are already displayed during input to the field. 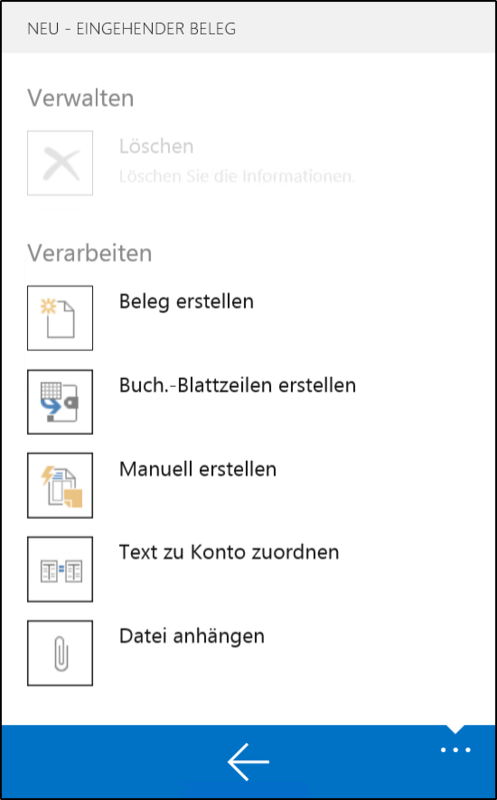 Moreover, the new version allows the user to independently perform settings such as language, Company, region or time zone in the Web Client using the new version. These and many other enhancements make working with the ERP system in the web client easier. Some of the new functionalities can also be found in the new Universal App Client of Dynamics NAV 2016. In relation to the Web Client, this Universal App Client is even more optimized to get used on mobile terminal devices such as Apple iPhone, iPad, or Microsoft Surface. Efficient gesture-based control and the enhanced representation on different screen sizes are prioritized. In so doing, the optimization was advanced to an extent that the client can even be used comfortably on smartphones with any of the common operating Systems.